Rome is the eternal city, where all roads lead, where you can live a whole life for one vacation a day or lose for a few weeks. The concentration of attractions in Rome is so big that in just a couple of hours the heart and brain start to refuse to accommodate new ones. Therefore, to spend a day or two in Rome is just a crime. Here you can come over and over again. The main thing you should be aware in is that Rome is not exactly Italy. Consider that this is a separate state or even a separate world. Rome is monstrously old and forever young; it saw the flowering and fall of one of the greatest civilizations of the planet. It's no wonder that the whole of its historical center is declared an object of world heritage. 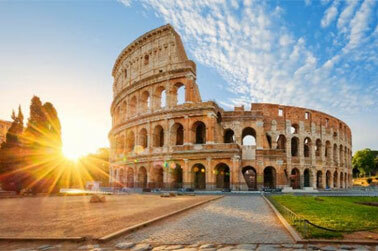 Rome is divided into many zones, municipal districts, suburbs, districts, quarters and other residential areas. Undoubtedly, each of them has its own pearl, but it is difficult to understand all the intricacies of the town planning by the Romans in the seventh tribe, therefore it's better to choose one of the historic districts for the first acquaintance, and leave the working suburbs for later. The city welcomes its guests with the area of ​​Termini - at the main railway station of Rome with the same name. Many travel agencies recommend this place, talking about the cheapness of housing and logistics facilities, but in fact these advantages are very doubtful and there are other disadvantages in abundance: the station areas are marked by increased noise, dirt, vanity, some criminal patina, Termini is no exception. And imaginary transport accessibility can be found almost everywhere in Rome. To the west of Termini and north of Ostiense there is a whole galaxy of ancient regions where you can not pass without stumbling over a tourist attraction or resting its forehead against it: Monti, Campitelli, Celio and Ripa. Yes, these are crowded and very popular areas, roundabouts of tourists around the Colosseum do not stop even at night. But if you try, you can find a nice accommodation on a quiet street two steps from the Forum and enjoy the view of these majestic ruins in the early morning, while everyone is asleep. On the central part of Rome you can walk without fear, but it is better to avoid "emigrant" quarters. The main danger for tourists is represented by pickpockets, especially gypsies, in crowded streets and public transport. At many stops even there are special inscriptions warning about pocket thieves. Another impressive group of areas is located just above the Colosseum: Trevi, Parionet, Pinha and Regola. In addition to the endless palazzo, temples and squares, this area is notable for its shops - small private shops, trendy boutiques, markets, as well as a lot of cozy cafes, bars and gelatin. The main landmarks are Navona Square, Pantheon, Trevi Fountain and Barberini Metro. 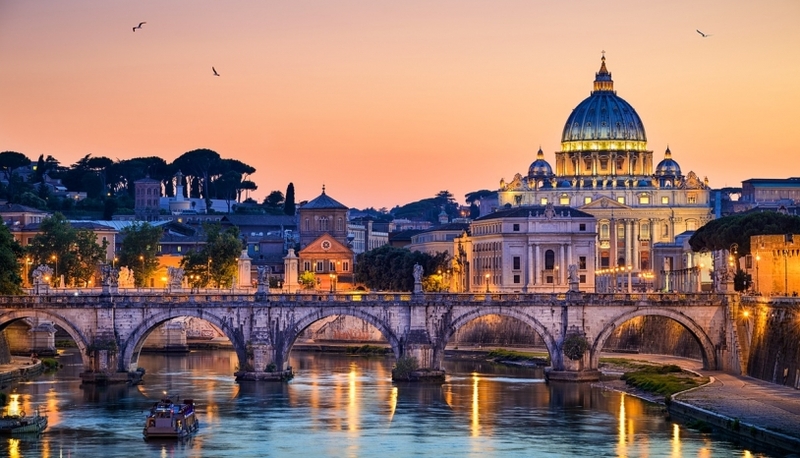 The north of the right-bank center of tourist Rome is occupied by the Ponte, Colonna and Campo-Marzio districts. The Column and the Field of Mars are good both for self-guided tours and for shopping. Among remote areas from the center with affordable housing and good conditions, we can advise the Eure with its Palace of Congresses and the square Colosseum, as well as the neat and green Monteverde. Testaccio is good for a night life and a tour of small family pizzerias.